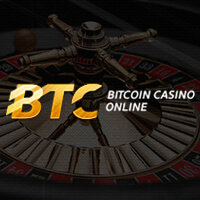 When BTC-Casino.io entered the online gambling scene in 2014, it quickly became one of the top choices for Bitcoin betting among players worldwide. It has a user-friendly and professional casino interface that is filled with eye-catchy banners, games, and other elements that work together to create a casino experience worth repeating. Available in four languages—English, Russian, Italian, and Spanish—this website easily transforms to an attractive gaming portal that will bring you to another dimension via its extensive roster of Bitcoin slots. In fact, this Bitcoin casino is jam-packed with video slot games that are supplied from various online game providers like Novomatic, NetEnt, Igrosoft, and others. The factor that makes these slots even more appealing is the diversity of the themes of the Bitcoin slots. Expect to find vibrant graphics and entertaining story lines that are guaranteed to burst with lots of exciting features, bonus rounds, and prizes. Other than the slots present on this site, you also have the chance to get your hands on two Bitcoin roulette games. Choose from either the Roulette Classic game or the American Roulette variant to gauge which of the two will suit your gaming preference much better. Granted that BTC-Casino.io accepts only one digital currency to date, expect to play roulette with Bitcoin at any time of the day. Although it would have been more preferred to have a European Roulette game on this betting platform, these two variants are good enough to satisfy your urges to spin the wheel and win BTC with some luck. This site does not only excel in the games it offers, but it has also done a great job with its payment system. You do not have to wait for several minutes for your deposits to be credited on your account balance since this process will be completed immediately. You are even provided with a QR code. This extends to its withdrawal services. However, take note that this casino does not promise instant cashouts. What it guarantees, though, is that your withdrawal requests will be processed as quickly as possible upon the receipt of the cashout order. There will be times that this process will take a few hours, but expect your funds within 24 hours. On top of these services, BTC-Casino.io also deserves a special mention for integrating extra perks designed to give more fun and rewards. It holds regular tournaments, where you can play select slot games to win comp points. In addition, it features lottery draws that reward the lucky players with real bitcoins. Joining these great promotions are the different ways you can earn more comp points by simply wagering on the games. This Bitcoin casino absolutely offers a complete casino experience, unless of course you are looking for more games other than slots. It even has a reliable customer support that functions via email and live chat. These are the reasons you will certainly have a great time playing on BTC-Casino.io. With Bitcoin roulette and slots on board, prepare for the right winning experience in a secure and dynamic casino on the web.